Luis von Ahn and his team received the email from Apple in mid-December.The gist of the message was straightforward enough: "You might want to prep yourself." A few days later, Apple named von Ahn's app Duolingo as the best iPhone app of 2013. Duolingo, a free app for learning languages, launched on iOS in late 2012 and had been featured in various sections of the App Store before, but little compares to being called out as the top app of the year. Duolingo's total app downloads across platforms spiked from an average of about 80,000 per day before the announcement to "hundreds of thousands" during the days after, von Ahn told Mashable. Some of this increase, von Ahn believes, may have happened either way as people make New Year's resolutions to learn new languages and also rush to download apps at the end of the year. Still, he estimates that this Apple mention likely brought in "half a million" new users since Dec. 17, "at the very least." Thanks to this year-end surge in downloads, von Ahn said Duolingo recently hit 20 million registered users, up from 15 million in late November. "We are usually not really aware what's going to happen. They just take whatever they want," von Ahn said of his previous experiences with Apple featuring Duolingo. "So we knew this one was going to be a little more prominent." Duolingo's experience is similar to that of other startups we spoke with. Each Thursday afternoon, a small editorial team at Apple selects apps to highlight for the following week in the App Store. Like the rest of Apple, this team operates secretively and rarely reaches out to notify the developers, except to occasionally ask for artwork or, for very high-profile selections like the end-of-year picks, to give a heads up so the companies can make sure they're ready for a significant increase in activity. With more than one million apps in Apple's App Store, any extra spotlight from Apple is welcome, but some feature slots are much more effective than others. Duolingo shot up to the top five apps in Apple's App Store immediately after getting featured. "Without a doubt, the first spot in the features carousel is where you want to be," said Dan Counsell, founder of Realmac Software , the company behind Clear, a popular to-do list app that has been highlighted by Apple on multiple occasions. "If you're in the second or third position the download rate is much lower, and in some cases I’ve noticed that it has made zero difference." Matt Galligan, cofounder and CEO of Circa , a mobile news app, has also noticed lower boosts in downloads when Apple's promotions are less prominent. 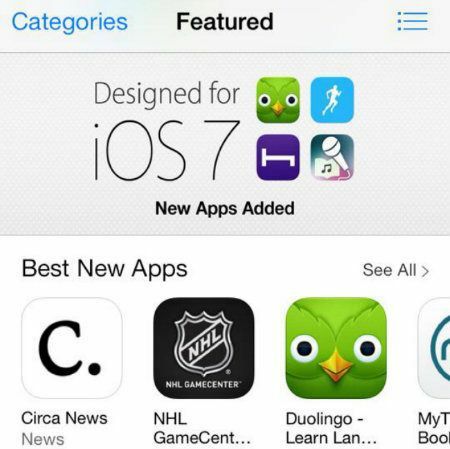 During the second half of December, Circa was featured in Apple's best of 2013 list, but users had to scroll down awhile to find the category it was listed under. 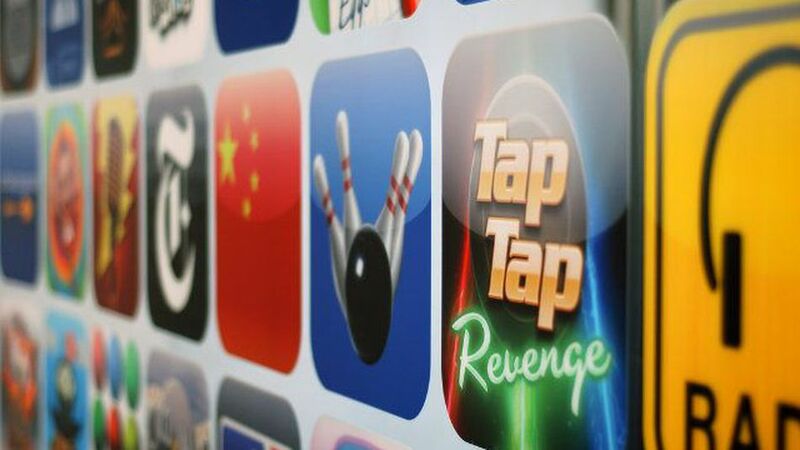 It was a "little bit of a dig" to find the app on the list, Galligan said. As a result, he said Circa's average download volume was 2.75 times the average from the week prior — a respectable increase, but not jaw-dropping. On the other hand, the week that Circa launched its version 2.0 app in October, Apple featured it in the prized first position in the App Store's top carousel.Galligan said Circa's downloads were 59 times more than the average from the previous week — though he estimates half of the initial boost may have been from press around the app update. It can be difficult for app developers to precisely measure the impact of a feature spot in the App Store, though there are some exceptions. the app was downloaded 2.8 million times during that one week. the app was downloaded 2.8 million times during that one week. By comparison, the paid version of the app has been downloaded 700,000 times since it launched on iOS in 2012. While Day One didn't earn money from those millions of free downloads, it did help build brand awareness. Mayne said his team is also working on a "major" paid upgrade to help monetize some of those users. Like Apple, the Google Play app store also highlights new and noteworthy apps, but developers we spoke with said this doesn't have quite as much as an impact on downloads as Apple's selections do. "It's not going to be a tsunami of traffic, but it is powerful," Galligan said of Circa's feature spot on Google Play . Von Ahn said he, too, has noticed the spike for Duolingo on Google Play is a "tad smaller" than with Apple. "Our number of users in both is about the same," he said, but "the Apple store is structured so that the featured [apps] are more prominent." Regardless of the platform, the huge spikes only last as long as the app is featured prominently, but sometimes it leads to a higher plateau. Duolingo's total app downloads have dipped back down to around 110,000 per day, but that's still well above the 80,000 daily downloads it was averaging previously.Von Ahn said the app experienced a similar pattern — though with far fewer overall downloads — the first time Duolingo was featured in the App Store in 2013, a few months after launching on iOS. "We were expecting that after the feature, we would go back to where we were, but that was not the case. We remained at something much higher," he said. "More people know about you so more people tell each other." Vauxhall release new iPhone app. Business users rejoice!